When I first looked at smart lightstrips, my very first thought was that they reminded me of the lights that lead your way when exiting an airplane! To be honest, I thought their primary function would be for safety rather than for style or entertainment. The reality is, smart lightstrips can change the entire look and feel of your home over and over again. These color-changing strips can be installed almost anywhere in your home, and will allow you to use light effects to illuminate your space in a plethora of different ways. Matched with WiFi light switches for your other regular lights, your entire house could easily be transformed into a voice-controlled smart home. Want to set the mood for a romantic dinner at home? Set the strips to a warm color and watch your living room transform with lighting you might find in a fancy hotel. Hosting a holiday party? Download an application that allows you to set your smart lightstrips to change colors between red and green, timed to the beat of the music you’re blasting at the party. If you’re a video game fan, you can set up a lightstrip behind your television and connect it to your gaming experience. In this video, we’ll look at some of the different options for installing smart lightstrips in your own home. This strip changes to any color of your choosing, and can even rotate between a series of colors that you select. The strip can be set to turn on at specific times of the day, or to turn off and on depending on whether you are leaving home or coming back to your house at the end of the day. 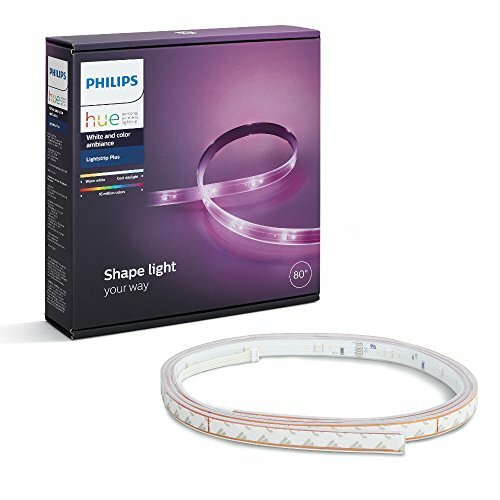 Philips’ Hue line is well-known in the smart home market, and one of the major bonuses of using this lightstrip is that you’ll be purchasing a product that is part of an established line of similar, interconnected products. 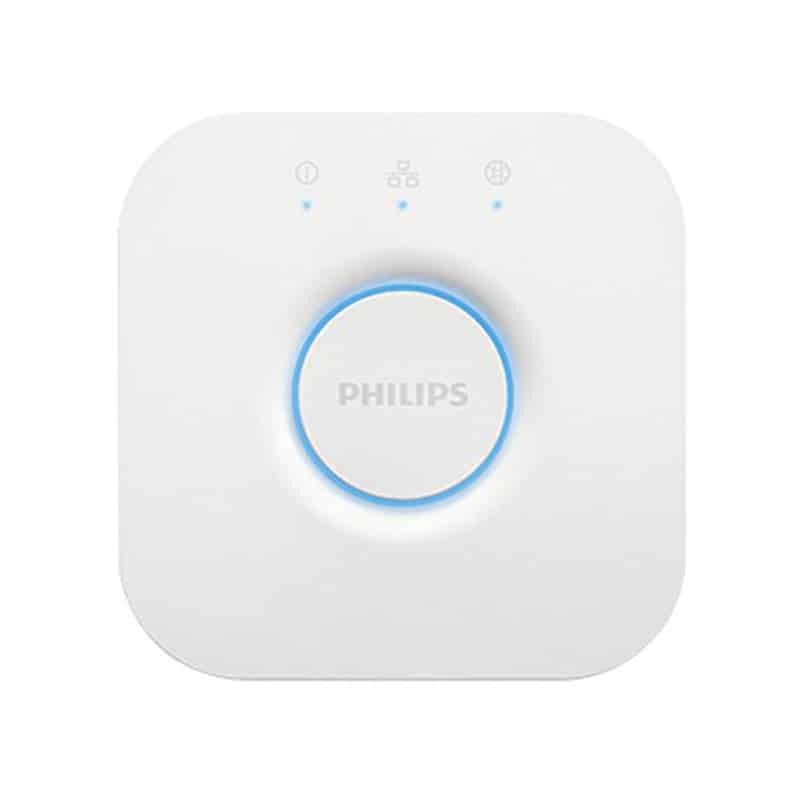 The Philips Hue line also has smart light bulbs, dimmer switches, outdoor lighting, and several other light styles to choose from. All of these products connect through one application on your smartphone, which makes it easy to manage all of your lights at the same time. 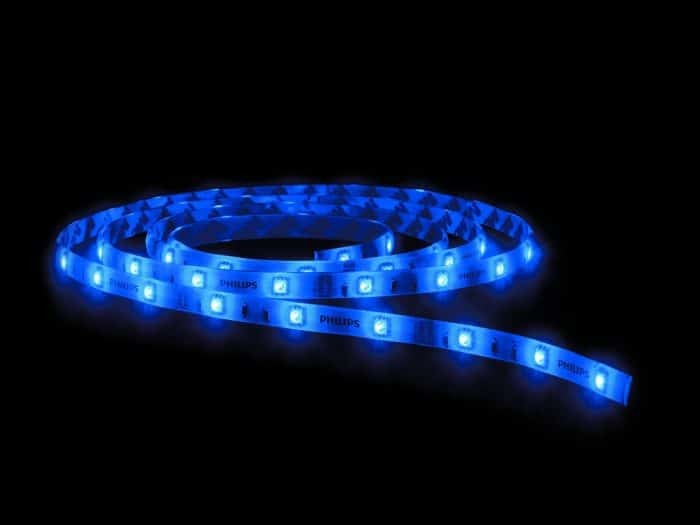 This lightstrip is quite powerful and also comes from a well-established company. The possibilities for using smart lightstrips are endless, and we encourage you to find creative ways to add them to your space! Here are a few ways we’ve used them in our own homes. 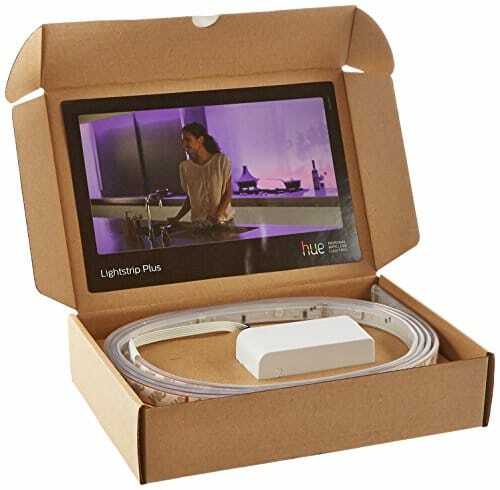 As shown in the video above, installation of the Philips Hue Lightstrip Plus is quite simple. 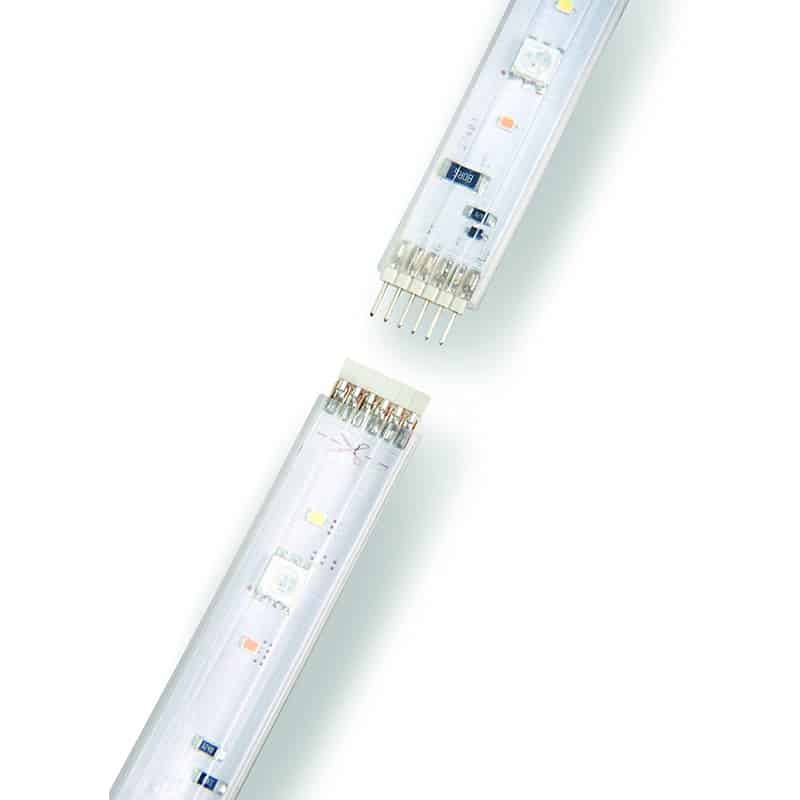 Once you’ve chosen a location for the strip, clean it well before beginning the installation. Then begin peeling off the adhesive backing sections one at a time and pressing the strip firmly into the location site. Once the strip is fully installed, plug it into the nearest electrical outlet and follow instructions to connect it to your Hue Bridge. You’ll be able to control all aspects of the strip through your smartphone in the Hue application as well as third party applications that integrate with the strip. For areas where you need more than one strip, you can buy 40 inch extensions. These extensions can be combined up to 33 feet, works with Alexa, and can sync with music just like the base model Philips Hue Light Strip. 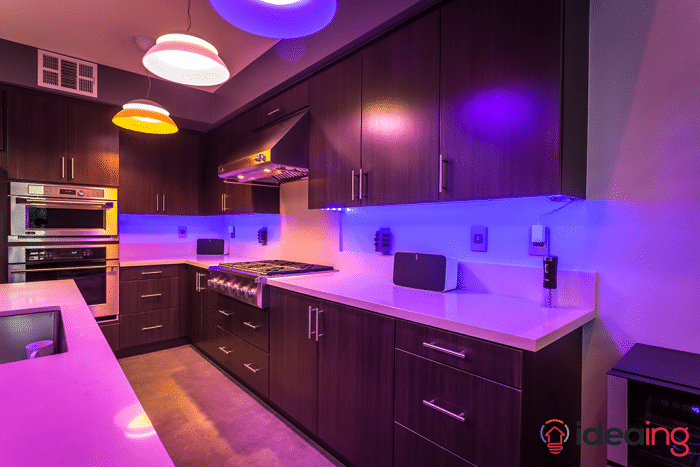 Accent your kitchen cabinets with smart lightstrips. The basic idea when installing lightstrips is to think about areas of your home that provide a place for the strip to be installed where the strip itself won’t be seen. Kitchen cabinets are a perfect example! Lighting under cabinets can provide a dramatic and upscale look to your kitchen, and you can choose from millions of color options to use as visual inspiration for your next meal! Smart lightstrips will revolutionize your home theater experience. As mentioned above, the opportunities for connecting smart lightstrips to your home’s media are unbelievably cool. Installing a strip behind a television is a logical and high-impact use of your strip. If you were going to choose just one place to install a new lightstrip to try out the technology, this would be a great place to start. Highlight decorative pieces like fireplaces or artwork using lightstrips. Any element of your home that you’d like to draw extra attention too would be well served by a lightstrip. 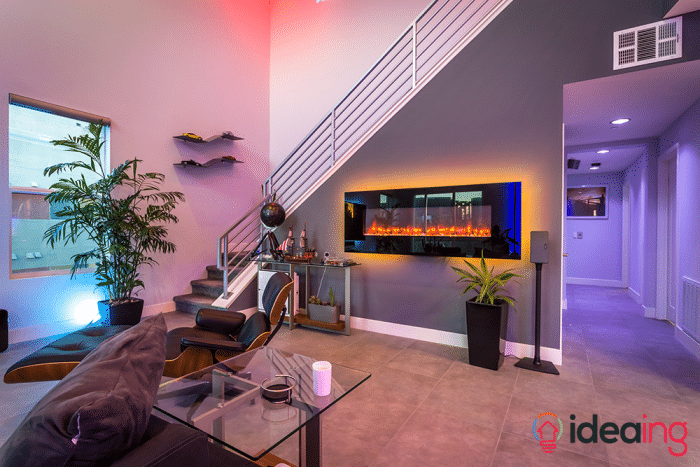 This electric fireplace is a perfect example, using and orange-red light makes the “fire” even more eye-catching. If you have a large piece of fine art, we’d also recommend using a strip to make it stand out. 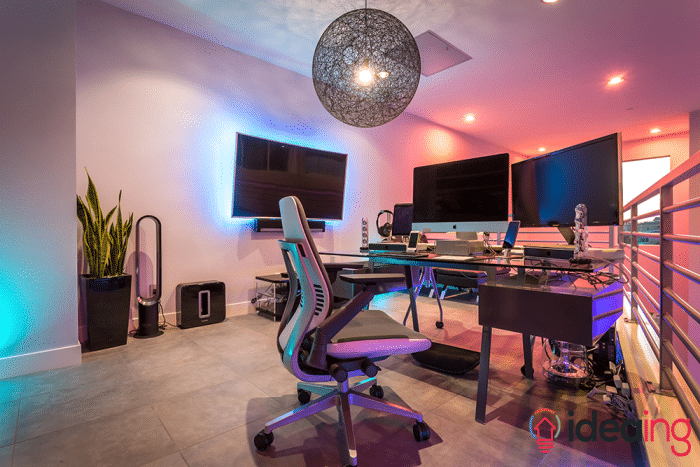 Add a unique and impressive flair to your home office with lightstrips. Imagine having a potential client come to your home office, and showing them a pitch presentation on your monitor with a light show included. Using a smart lightstrip in your home office can also help with productivity. Different lights can impact your mood and focus, so setting your lights to a more work-ready mode at times of the day you know you’ll need to get a lot finished can help you push through those extra hours! Mood lighting with lightstrips is a great match with smart ceiling fans too, which all can be controlled via voice with your favorite smart assistant like Alexa. For safety and style, line a staircase with a smart lightstrip. This usage for lightstrips reminds me of my initial “airplane exit” reaction to smart lightstrips! 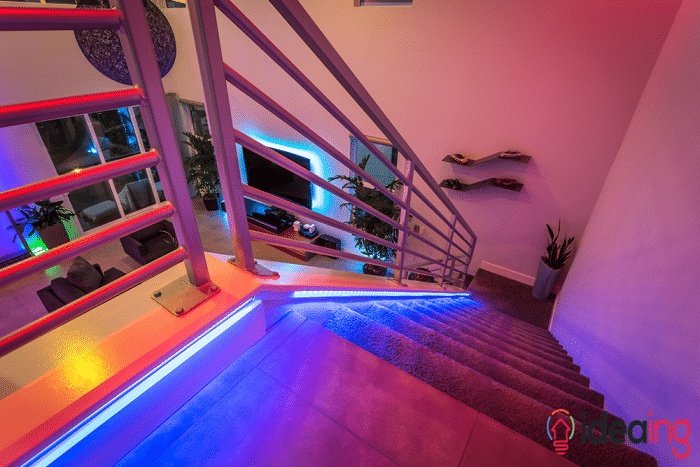 Not only does the ability to make your stairs change color look really cool, it has the added bonus of making walking up and down the stairs at night safer. You (and your guests) will never trip when heading downstairs for a midnight snack. 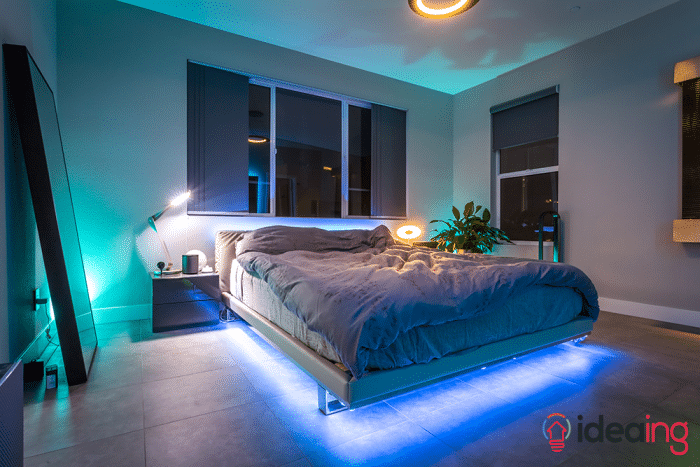 Give your bedroom a futuristic style and let smart lightstrips wake you up every morning. What room inspires the word “mood lighting” more than a bedroom? Not only will you feel like you’ve created the ultimate bachelor (or bachelorette) aesthetic with this look, you’ll also get some great functionality out of adding smart lighting to your bedroom. The Hue smartphone application allows you to set your lightstrip to turn on at the same time as your alarm clock wakes you in the morning, allowing you to wake up to sunny tones that will keep you smiling for the rest of the day. Light underneath furniture like entertainment stands to bring illumination to lower corners of a room. Often the lower corners of our rooms don’t get as much attention, and lighting these spaces can make a room feel instantly bigger and cleaner. 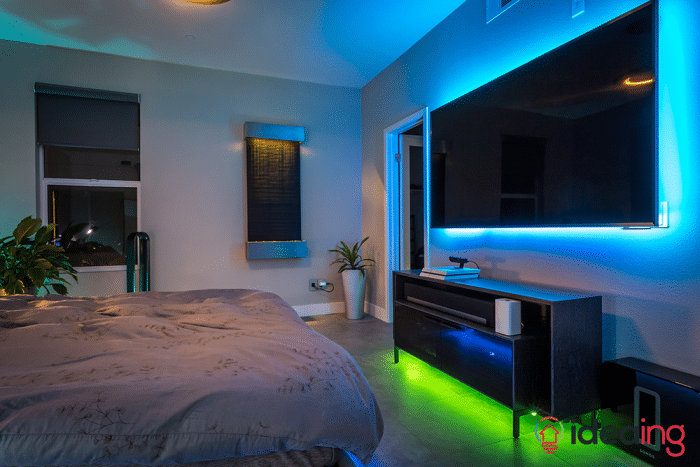 Using smart lightstrips to light upwards also gives your room’s walls the ability to change color, making your space feel and look totally different at the touch of a button. 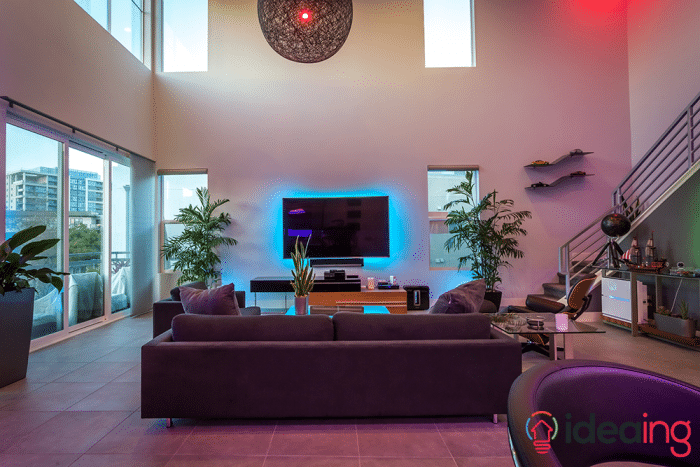 Smart lightstrips can make a huge impact on your home’s look, and also provide smart home automation that can help increase your happiness and productivity levels. You’ll find that there are endless options for installing these strips around your home–a great way to mix smart home technology with your creative side. If you’re interested in learning more about products like this, check out our home product section! We’d love to hear about how you’ve used smart lightstrips in your own home! Have you used a lightstrip in a way we haven’t shown above? Share your ideas in the comments!